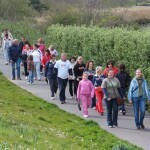 Over 500 people turned out last Sunday to walk from Carrigaline to Crosshaven for charity. The walk started in the centre of Carrigaline on a fine sunny afternoon and finished in the square in Crosshaven, a total distance of about 8km. Music and clowns kept the crowds entertained until the official start of the walk shortly after 3pm. 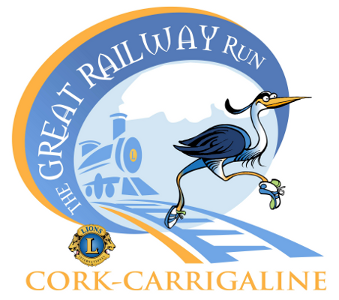 Carrigaline Lion’s Club President, Pat O’Sullivan thanked the sponsors and the participants and then the walkers (and some runners) set off for Crosshaven. Refreshments were provided enroute and the Owenabue Valley Traditional Group provided entertainment. The event raised over €15,000 and the proceeds will go towards a number of Lion’s Club charities including the Hope Project in Calcutta and the Crosshaven Youth Club. Some of the money will also be used for the on-going development of the walkway itself. A big thank you to all walkers, sponsors and everyone who helped to make this a very enjoyable and successful event. The walkway has now been designated as a Slí na Sláinte. Signs will help walkers keep track of the distance walked and emphasise the health benefits of walking regularly.